There is nothing like the feeling of walking into an exhibition that you have worked towards for nine months and seeing a crowd of animated people engaging with the works that they are encountering. These works were chosen, researched and carefully arranged by myself and eight other History of Art postgraduate students from the department, as part of a module called Curating Research. The months that preceded the private view of our exhibition, Lasting Impressions, were challenging at times, but also so much fun! We all learnt a great deal and we have come away with the fantastic experience of working as a team to transform academic research into an exhibition that we hope will captivate the Barber Institute’s audience. We were given the opportunity to work on the exhibition as part of the ‘Curating Research’ module offered by the University of Birmingham’s MA programme in Art History, Film and Visual Culture. The academic year began with module leader, Dr Richenda Roberts teaching us about the history and evolution of museums and galleries around the world from private collections to public institutions, including various current issues that affect them today. Gaining theoretical and historical knowledge on museums and exhibitions was fascinating and is important for anyone hoping to work in the museum sector. However, we were itching to get down to the practical aspect of the course. 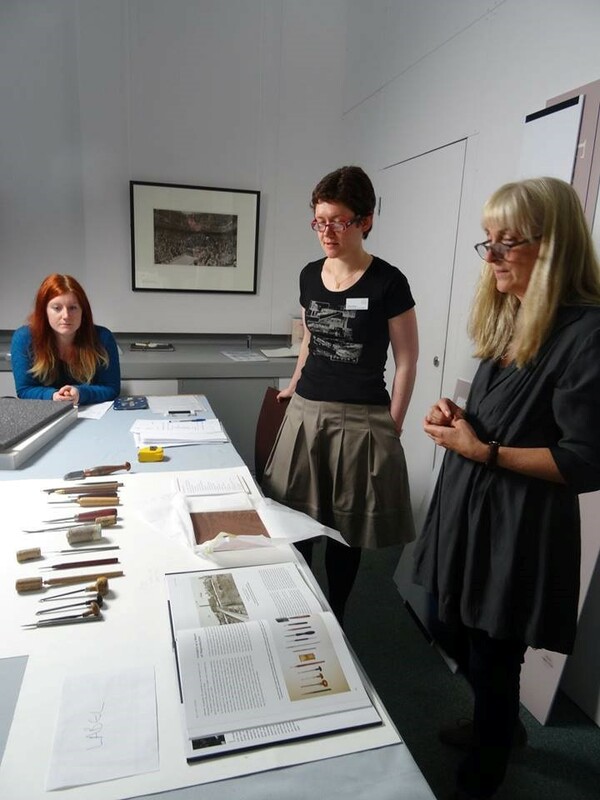 One of the wonderful things about the module is that we were taught not only by experienced, knowledgeable University of Birmingham staff, but also by members of the team from the stunning Barber Institute of Fine Arts. Sessions were led by the Marketing, Learning and Access, and Exhibitions and Loans departments. The Barber worked in partnership with the National Portrait Gallery, which provided many of the exhibition loans for Lasting Impressions. As part of the exhibition planning, we went to the National Portrait Gallery to see the prints up close and personal and to make our selection of loans. This was a great opportunity to delve behind the scenes. It is not surprising that almost everyone doing an Art History MA in 2013-14 took the Curating Research Module! However, it was not all fancy trips and talks. The course has also been a lot of hard work. The incredible prints on offer to us somehow needed to be narrowed down, the themes had to be worked out, and it all had to live up to the Barber Institute’s excellent reputation. (And, of course, the visitors had to like it!) Met with a whirlwind of new information and exciting prints it was easy to get caught up and forget the most important part – what would become Lasting Impressions, the exhibition itself. Previous student-led exhibitions had all done something a little different and we wanted to follow suit. Our earliest ideas ranged from abstract themes, like arrangement by colour, to more specific ideas, like displaying only artists’ self-portraits. 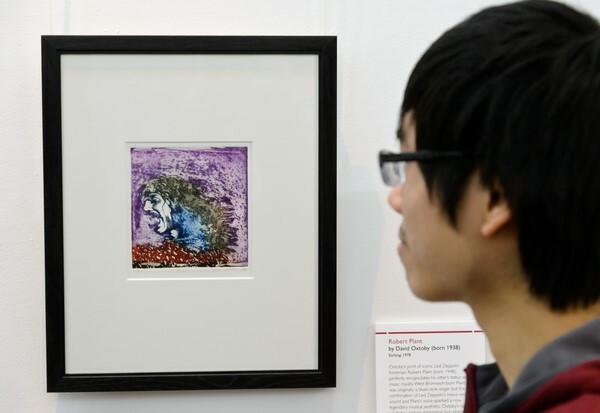 It was only upon visiting the National Portrait Gallery for the first time and looking around and seeing the works available to us that we decided upon our focus: printmaking as an artistic, expressive form. 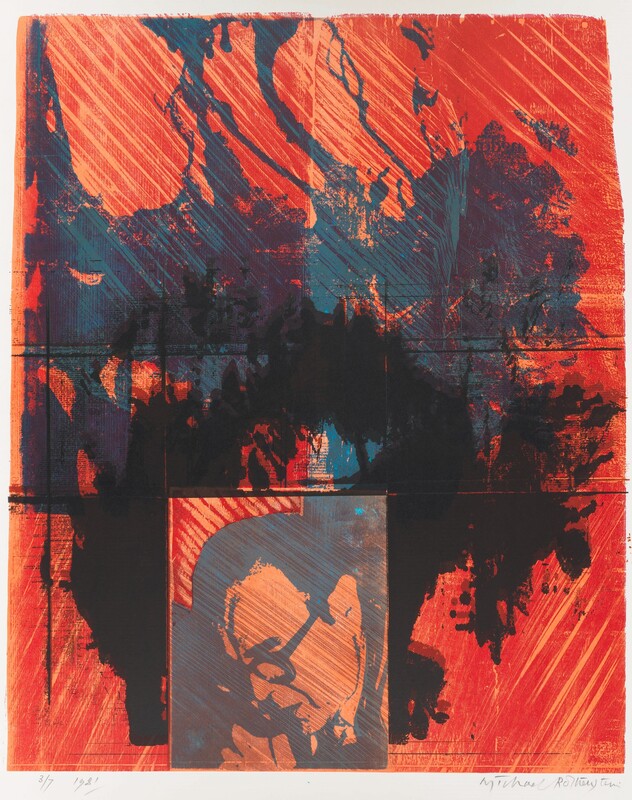 The twentieth century saw numerous artists produce prints, many of whom were experimenting with different, and sometimes unusual, printmaking techniques, combining different methods or using new materials. The works we chose were all fascinating individually and captivating aesthetically – we thought they would certainly make a ‘lasting impression’ on our visitors! I fell in love at an early stage with the portrait of Robert Plant by David Oxtoby. The print is vibrant and expressive of Plant’s musical passion (I confess to being a big Led Zeppelin fan). The works we chose were diverse and, as such, the resulting exhibition juxtaposes prints such as a 1907 etching of William Booth by Francis Dodd, a wonderfully vibrant and technically fascinating self portrait by Michael Rothenstein (1981, coloured woodcut), and a group portrait of politicians at the House of Commons by Chris Orr (1986, aquatint and etching). Within the exhibition, works such as these provide an overview of British portraiture in print during the twentieth century, and highlight the various techniques and styles used to develop the expressive potential of printmaking. We wanted to make this exhibition as accessible as possible, and knew from our own experience that the technical aspect of printmaking can sometimes be a bit of a mystery. On display in the Lady Barber gallery, alongside the prints, we have included a selection of printmaking tools as well as an information sheet outlining various printmaking techniques. 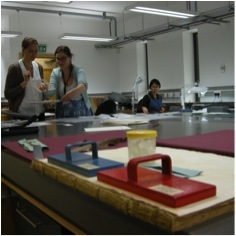 You can even try out drypoint with Birmingham Printmakers at the Barber Institute’s workshops. Alongside that of the National Portrait Gallery, we were also given the opportunity to explore the fantastic collections here at the University of Birmingham, including the Research and Cultural Collections and the Cadbury Research Library. In fact, the visit to the Research and Cultural Collections led to the loan of my favourite work in Lasting Impressions – a charming plasticine print by Hans Schwarz (1922 – 2003). 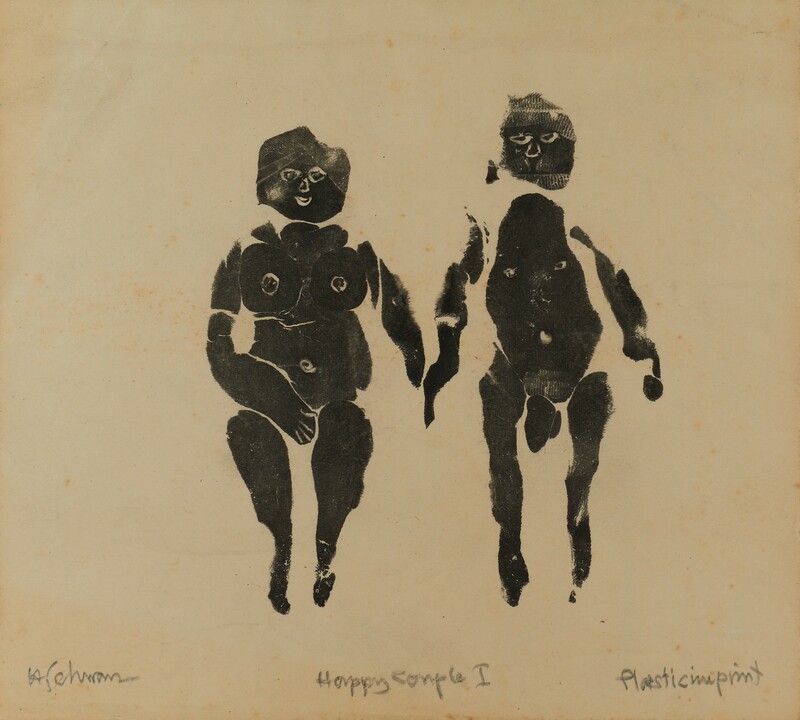 Schwarz was an experimental artist and this self portrait with his wife expresses perfectly his sense of humour and innovative style. It was exciting to reach the point of having chosen the works and established the theme, but our work wasn’t over. The chosen works would need to make their way onto the walls and into the cases. But before that, we had to summarise all the research we had carried out about the artists and sitters into a one hundred word label – possibly the hardest task in curating an exhibition. And all of these tasks had to be done to a deadline. To me, though, this is just another reason why the module is so fantastic – it doesn’t just teach you ‘exhibitions in theory’, but it teaches you how to overcome the real life challenges you must inevitably deal with if you wish to put on an exhibition. As an aspiring curator, the knowledge and practical experience I gained during this module has been invaluable. Thankfully, we did manage to get everything on the walls and in the cases, and we even managed to write the labels! With a big thank you to Dr Richenda Roberts and all of the Barber Institute staff that gave us so much help – we are all incredibly proud of what we have achieved, and could not be happier with how the exhibition has turned out. You can see it for free at the Barber Institute until the 28th September. 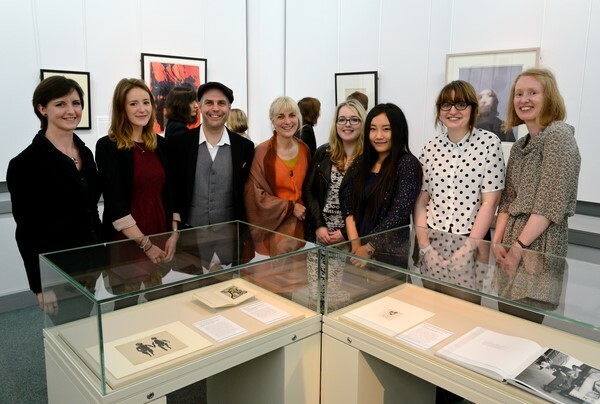 The History of Art MA students from left to right: Gerda Van Wyk, Alice Peters, Mik Escolme, Annette Eldridge, Erin Shakespeare, Yang Yang Zhou, Rachael Yardley and Anne Russell. 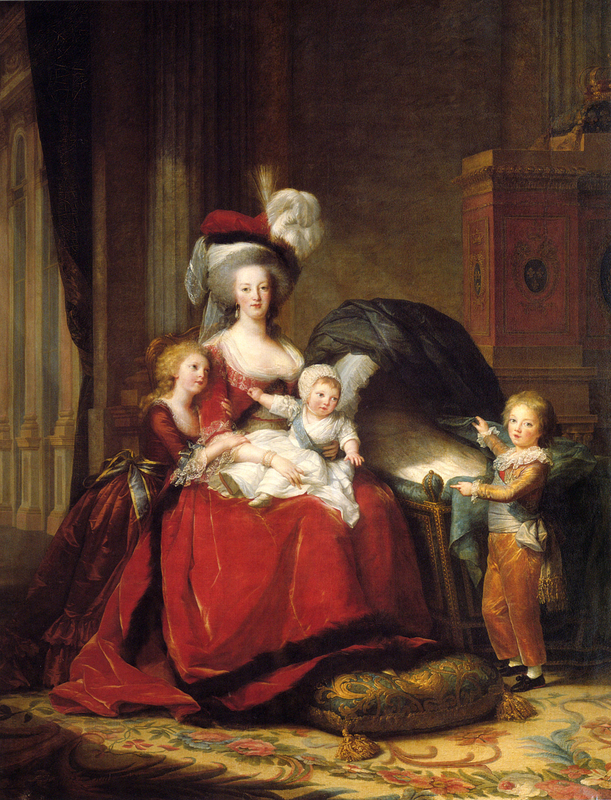 If you’re interested in studying the MA in History of Art and the Curating Research Module click here to find out more. 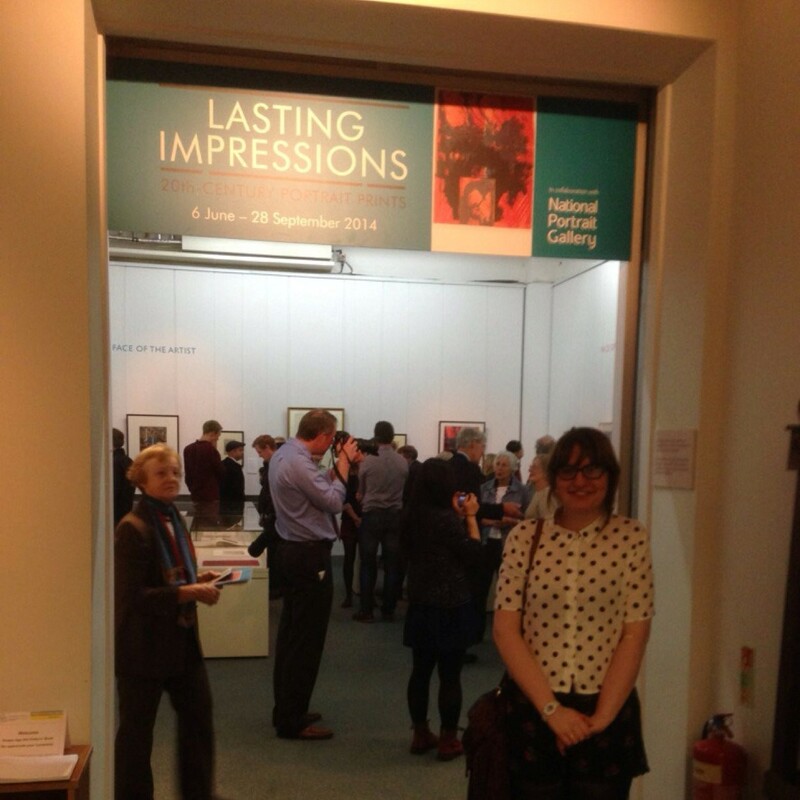 Oliver McCall, one of our previous MA graduates, has reviewed Lasting Impressions here. Digital Culture is taught in a very different style to other modules I have taken. We are taught in a very ‘hands-on’ style and explore images and programmes using large touch tables. In particular I am learning how to research history and culture through the use of digital technology, such as Google Earth. Through this I feel that I have learnt how I can use digital technology to present my research in both a visual and innovative way. I am also learning about the limits of digital technology in the fields of history and culture. The module is giving me a great insight into how the opportunities of the new digital age can develop my historical research, and so I am glad that I’m taking this module as my MOMD. In the 21st century, digital technologies are ubiquitous and so an understanding of their applicability and value within the Arts and Humanities and beyond is of fundamental importance for both academic study and employability. 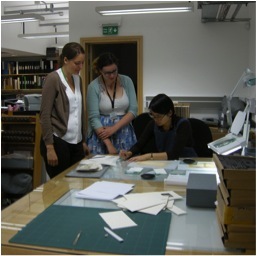 Using case studies from various cultural collections, this course introduces students to a range of digital technologies in a practical, hands-on way, whilst relating their use to diverse research cultures. It includes the analysis of current and future trends in digital technologies, such as massive and open data, multi-touch and multi-user interfaces, and the 3D internet. is taught across the disciplines leading to fascinating cross-disciplinary debate. 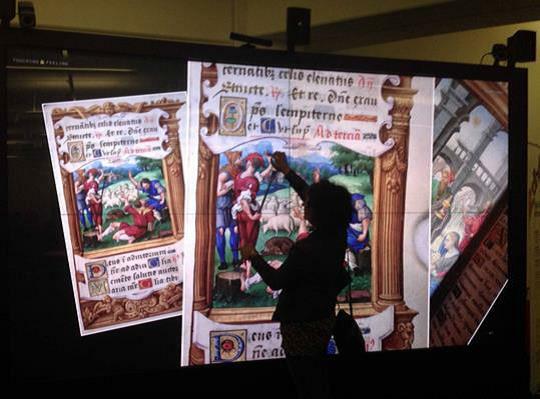 To find out more about the Digital Humanities Hub click here. In my final year (2012-13), I was amongst eleven University of Birmingham students who enrolled on a pilot MOMD entitled Making Culture: New Ways of Reading Things. The course encouraged students to critically engage with the material world by considering how objects make and reflect culture. 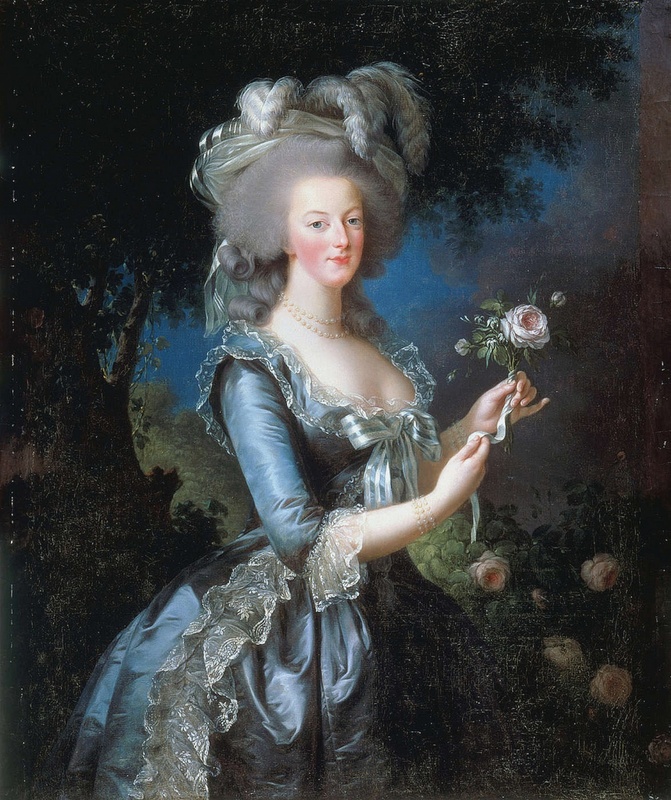 This may sound like pretty familiar territory for the History of Art student, but it demonstrated that art historical methodologies actually occupy a small niche on a broad spectrum of disciplines that ‘read’ cultural objects. Making Culture: New Ways of Reading Things is notable for being Birmingham’s first truly interdisciplinary module. 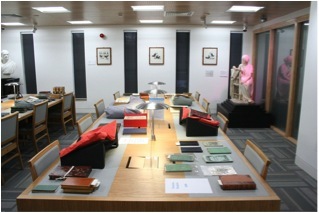 Each week, sessions were delivered by a different University department, including the Research and Cultural Collections Study Centre, Lapworth Museum, the Centre for West African Studies, the Medical School, the Barber Institute, the Learning Hub, Cadbury Research Library, and Winterbourne Gardens. The content of the classes were therefore exceptionally diverse. We had a go at some of the tasks involved in the professional roles of our session leaders, such as writing museum labels and condition reports for objects, considering an application for invasive research on a museum specimen, curating a display of objects from Special Collections, making a wax model for casting, and planning an activity to engage a target group with a work of art. 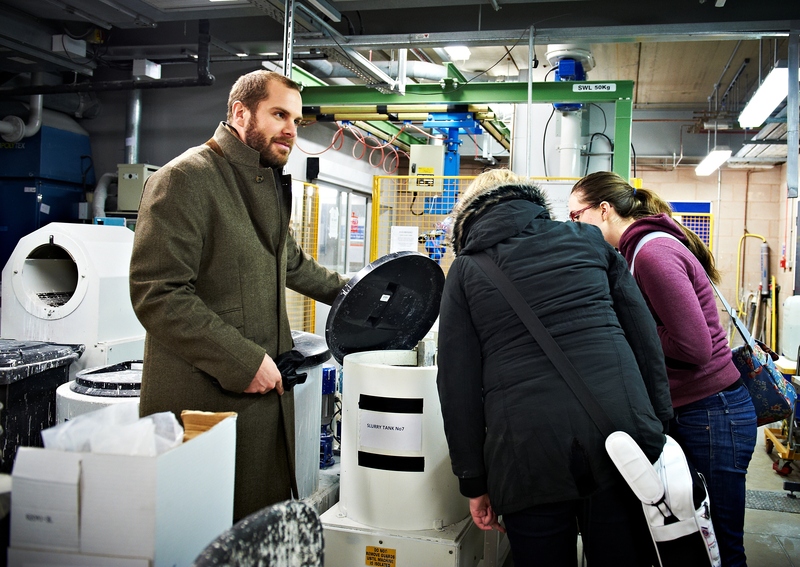 We were also treated to a number of behind-the-scenes style tours and demonstrations, including watching a rock being sliced open to reveal a splendid fossil in the Geology Department, and prototype parts for an airplane being cast in the Metallurgy Department’s foundry. Sessions frequently incorporated class discussions, which were especially interesting because the group was comprised of students from many different cultural and academic backgrounds. Although academic theory did inform our reading and lectures, the course was unusual in that it didn’t focus on the need for an in-depth understanding of an academic field. 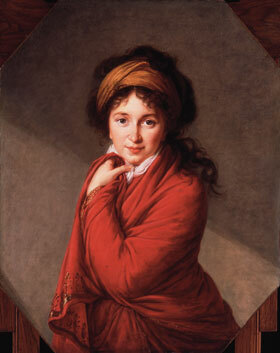 Rather, it seemed to be about developing a broad awareness of the use and interpretation of objects. During a review session, many members of the group agreed that the module had given them the skills and confidence to assess even objects that they had no prior knowledge of. The assessment of the module allowed us to demonstrate this. 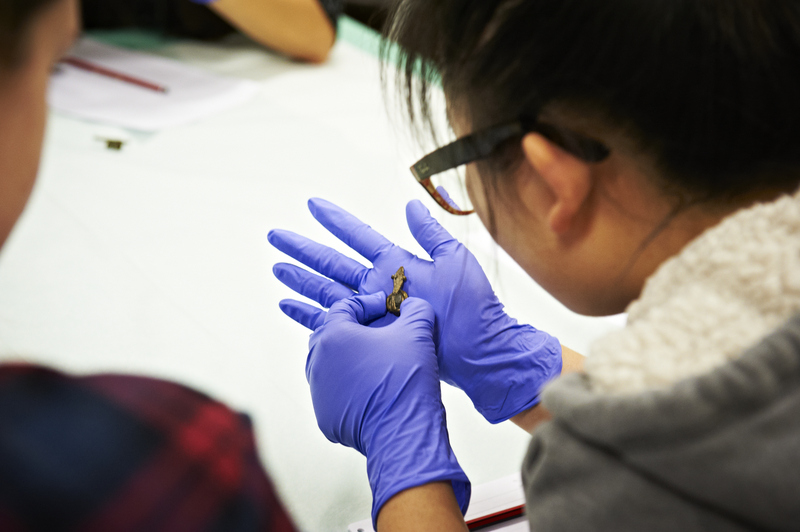 Each student was randomly allocated an object from the University’s Collections and asked to produce a number of readings of that object from different perspectives. 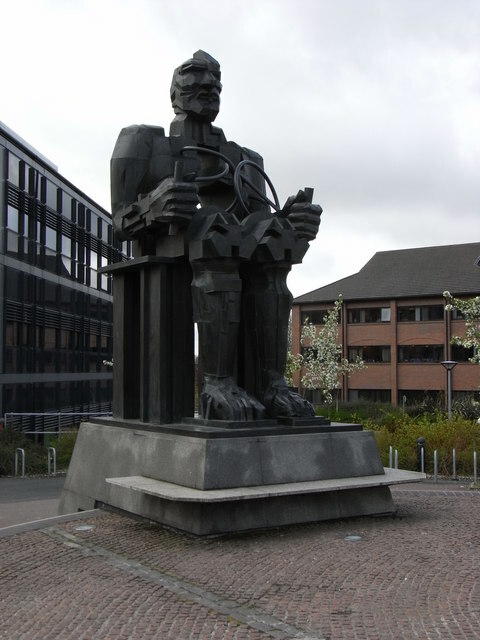 My own assignment considered a work that I, like most students of the University, was already familiar with: Eduardo Paolozzi’s colossal sculpture Faraday, which is located on campus near the train station. I decided to refrain from an all too obvious art historical reading. Instead, I considered the work as a commodity; assessed how digital media could enhance public engagement with the sculpture; and evaluated the way that the work is interpreted within the context of the University Collections. We also produced a reflective learning journal upon completing the course. The prospect of being assessed on a piece of work based almost entirely on my own, highly personal reflections was one that I initially found daunting. 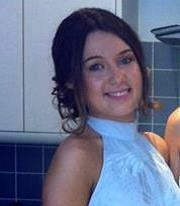 However, the assignment proved to be a really valuable conclusion to the course. I found that observing the themes and connections between the diverse sessions revealed a number of things that I had not necessarily been taught, but had learned as a result of the course. As well as improving my understanding of the use and interpretation of objects of culture, I would say that taking Making Culture: New Ways of Reading Things actually served to enrich my University experience. It was a fantastic opportunity to learn about the University beyond my own department, and presented the privileged chance to explore its rich collections. Making Cultures is now available as an MOMD (Module Outside the Main Discipline) for second year students and you can read more about it here.